Welcome to the next section of your e-learning program, The Action of MAGNETIC Sales & Marketing. To get the most out of this program follow these steps. Each step is a tab in the Table of Contents (TOC) below the list. Print the Activity Journal PDFs for each module to record your answers. Objective: Knowing your timelines is a key element to be in the natural organic flow of your company’s organizational process. You want to put your customer in the correct flow of the process when the customer has a need. It’s important to locate and educate your customers about your company’s timelines while promoting your products, services, and organizational processes to prepare them for timely decisions so they can experience ultimate successful outcomes. [icon style=”print” color=”ff0000″]Click here to download your PDF. You may want to print it and save it in a 3-ring binder along with the other modules. In Modules 1 through 3, you learned how to work with The Passion of MAGNETIC Sales & Marketing. We explored knowing yourself, knowing your customer, and knowing your Company’s brand promise. Modules 4 through 6 worked with The Vision of MAGNETIC Sales & Marketing. We explored knowing your company’s vision, knowing your personal success vision, and knowing your products and services. 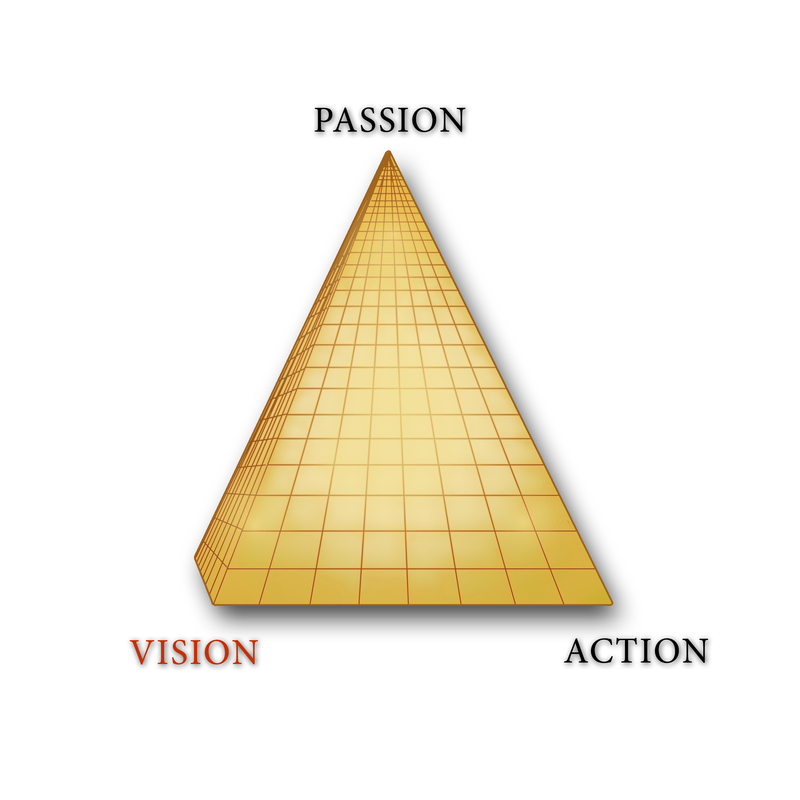 Now we are at the 3rd point on the Passion Vision Action triangle. Modules 7 through 9 work with The Action of MAGNETIC Sales & Marketing. We will explore knowing your timelines, knowing your industry’s environment, and knowing your future. For you to create an Action Plan or Sales Strategy, you must first know your timelines. You need to know your company’s operations process in order to create the timelines for your success. The temptation to ignore sound processes in the name of action is dangerous. It’s like going to the grocery store hungry without a list. To establish a sales mindset, you must first design your action plan with a sound strategy that includes your Magnetic Sales Funnel with timelines, actions, and activities. The action plan becomes your measurement for success at each step in the process. 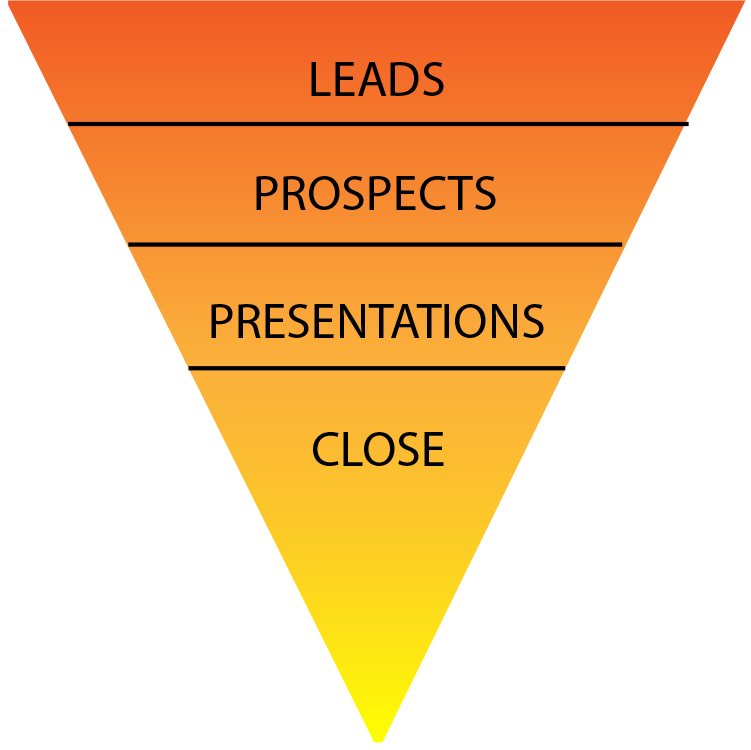 Your sales funnel is an inverted pyramid that draws potential customers down through your company’s sales process with focused actionable timelines. As the funnel name indicates, it’s wide at the top where customers with all levels of interest may enter. Eventually the customers with the strongest interest magnetically flow to the bottom to be converted into your customers who are ready to buy. Many people have no idea how long it takes to turn a prospect into a profitable customer. Each product and service has its own unique timeline. It’s important to first understand your company’s operations and the prospecting timeline for successful sales within your organization. You can also develop your standard sales prospecting timeline from successful past experiences. Begin this process by picking a recent customer that resulted in a successful sale. Using your Magnetic Sales Funnel template, break down the key activities you went through and the timelines that resulted in the successful sale. Your goal should be to establish the specific activities that were the most time-consuming. Then you can determine a way to shorten the time spent on that particular activity. Most people are surprised to find that a couple of activities take the majority of time. By knowing this, you can change your strategy and create a more efficient effective process that will be more magnetic. Think of a recent customer that resulted in a successful sale as you complete Activity #X. Write your happy customer’s name in the space. This keeps you connected and focused to that particular customer. In each stage, list the activities and the time it took for each activity. Really pay attention to the resulting outcome that qualified your prospect to move through the sales funnel to the next stage of the process. We’ve included four stages for the Magnetic Sales Funnel. 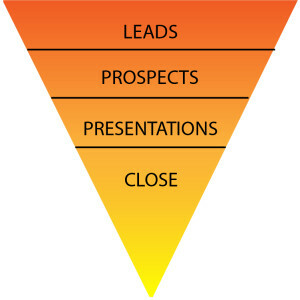 Your sales process may have more stages; so customize the sales funnel to your own unique process. Now that you have determined your sales timelines and activities, which activities were the most time consuming? Thinking about your process, how can you shorten the time spent on a particular activity using your magnetic energy skills? To put this practice into motion, choose a current prospect. Put them into your Magnetic Sales Funnel. How can you improve your process which will result in saving time and money and getting to the sale quicker? You learned about your company’s timelines and the sales strategy to turn a prospect into a customer. The Magnetic Sales Funnel draws potential customers down through your company’s sales process with focused actionable timelines. Customers with the strongest interest magnetically flow to the bottom of the funnel to be converted into customers who are ready to buy. [icon style=”star” color=”ff0000″]Complete your Magnetic Sales Assessment for Module 7. The Magnetic Sales Assessment is designed to measure your belief about knowing your company’s timelines for increased performance. If your total score is 15 or higher, you believe in your timelines and Magnetic Sales Funnel. If not, go back and review Magnetic Skill and Passion in Action. When you’re ready, continue on to Module: Know Your Industry’s Environment. The Adventure continues. [icon style=”eye” color=”ff0000″]Watch this video, “The Close: Module 7”. [/accordion] [/tab] [tab title=”Module 8″] Objective: Knowing your industry’s environment (who, what, why, where, when, and how) is necessary for you to sell and market to the ideal customer based on the current market conditions, environment and your customer needs. When you become a source of knowledge connected to these elements in your industry, you become very magnetic as people will be drawn to you for information and direction. [icon style=”eye” color=”ff0000″] Watch video, “Knowledge: Understanding Industry Trends”. Understanding your industry’s trends is important to your company’s success and significance. It can foretell a potential future, impact the present and help you understand the past. A trend is a direction, a general course that follows a tendency or a style. There are trends in business, fashion, lifestyles, languages and education. Industry trends have a big impact on people, culture, markets and company profits. Trends help an investor decide if a company is a good investment. Trends help a job seeker decide if an employment opportunity is a good move. Trends provide data, analysis, statistics, references, considerations and guidelines. Trends can be followed but they are constantly changing. So it’s very important to stay current and know your industry’s environment. [icon style=”eye” color=”ff0000″]Watch video “Magnetic Skill: Following Shifting Trends”. It is crucial in your sales and marketing success for you to track and stay abreast of the current economic picture of your industry as you drive your company’s success. Imagine the best possible place for you to be in your market taking advantage of the many opportunities as they become available. To accomplish this you will need to develop strategies and a practice to continually become aware of trends shifting. You can do this by ‘keeping your ear to the ground and your eye on the horizon” of your environment. This can be done in several ways. You can attend conferences, receive daily news feeds from industry news sources, follow in-the-know bloggers, subscribe to data gathering sources, and network with your peers. On another note, for centuries history has recorded examples of how powerful leaders stay abreast of changing trends by staying connected to intangible sources such as astrologers, numerologists, intuitives, psychics, or muses. If you see yourself aligned with the history of powerful leaders, you may want to consult with these gifted people to learn hidden insights. As you gather information about your environment and the trends that are driving it, you will want to continually access your own intuitive skills. Listen to your own “gut sense” of what to do for you to stay on the leading edge of the economy. Here are links to resources for more information about each trend area. In your Activity Journal, complete your trends strategy. To best observe and analyze the information you are receiving, we suggest you create a Magnetic Trends Tracker spreadsheet. What statistics in the Magnetic Skill activity report did you find that support key indicators of a trend? Some current and forecasted market signals include interest rates, CPI index, durable goods order report, stock market, employment, building permits, and real estate that influence your industry. Watch for seasonal trends, mobile communication, global issues, national concerns and of course local needs and wants. Every successful industry must be aware of how these issues will affect their business. When you are aware of these trends and implement with effective sales and marketing, your products and services providing solutions to the problem you become magnetic. In your Activity Journal, complete the Magnetic Trends Tracker example and answer the three follow-up questions after you complete the trends details. One of the more popular intuitive systems is Numerology, which was started thousands of years ago by Pythagorus, a Greek philosopher and master mathematician. Pythagoras made influential contributions to philosophy and religion in the late 6th century BC. He is often revered as a great mathematician and scientist and is best known for the Pythagorean theorem, which bears his name. Pythagoras believed using the science of numbers would show us who we are and where our opportunities are waiting for us in our future. He is known and respected for his work with math to help us know more about the world we live in so we can make better decisions. In your Activity Journal, complete the Intuitive Trends table. What have been the general trends in the last five years? Refer to the list below for the Numerology annual forecasts for the last 5 years. Next to each item under Observed Results, list what you observed in your life related to the listed trend. According to numerology, 2016 will be a year of change and completion. 2016 is all about what will you hang on to and what will you let go of in your personal and professional life. What do you see in your industry and markets that are dissolving or may be replaced in 2016? In your Activity Journal, record your thoughts and comments. You learned about your industry’s environment and why it’s important to understand industry trends. The Magnetic Trends Tracker support key indicators of a trend. When you are aware of these trends and provide solutions to problems, your effective sales and marketing is magnetic. [icon style=”star” color=”ff0000″]In your Activity Journal, complete the MAGNETIC Sales Assessment for Module 8. The Magnetic Sales Assessment measures your level of belief about your industry’s environment and market trends affecting it. If your total score for the Magnetic Sales Assessment is 15 or higher, you believe in understanding market trends is important to increase sales. If not, go back and review the Magnetic Skill and Passion in Action section. When you’re ready – move ahead with the final Module #9: Know Your Future. The Adventure continues. [/accordion] [/tab] [tab title=”Module 9″] Objective: Learning the knowledge and skills of becoming magnetic with your sales and marketing is an amazing accomplishment. Practicing and applying these skills on a consistent schedule may become challenging once in a while. The key to success is to believe what you learned about who you are and what you want. Then continue to apply this knowledge and these skills to become a leader in your industry. Magnetic Sales and Marketing is a system for moving your magnetic energy into profits. In going through this program, you learned the three powerful energy points for creating success. In the Passion of Magnetic Sales and Marketing, you learned about PASSION – WHO you are. Passion is an energy source. Passion is the most powerful fuel source for success. Passion is the human energy that powers the business energy. Passion moves things to happen – passion creates profits. You learned how to consciously use this energy source of passion to create profits in your life. In the Vision of Magnetic Sales and Marketing, you discovered it’s very important to have a clear VISION of WHAT you want; it is so much easier to get somewhere when you know where you are going. In the ACTION of Magnetic Sales and Marketing, you explored HOW you’re going to get to your vision. Inspired, planned actions and activities that focus on your Vision create the movements necessary for your success to happen. You learned how consciously using this magnetic energy source of passion can create profits in your life and magnetize the customers you want to work with. When you created your personal success vision, first you went into the future to imagine what you wanted. Next you created the action plans and strategies, to know what you’re going to do to accomplish your desires. To bring the future into the present, you must create a belief bridge between your vision and who you are. This is powered by the magnetic energy you use for success. As you applied all the magnetic skills that you learned, you brought your future of what you wanted into the present to create your success. This is a tipping point in your process because without a belief and acceptance, you will snap back like a rubber band to your old patterns that you live by today. This process builds your confidence that you can magnetize your future. To keep you focused and on track, review the 8 modules and write one important insight or skill you learned from each module. In this program, you explored who you are and what you wanted. You measured what drives you and what you needed to develop to become magnetic. You pursued the knowledge and applied the skills of becoming authentic and magnetic. Now to continue to be successful, you need to keep your magnetic energy flowing. We start back at the beginning with one of the more difficult questions, What do you want? Questions can be dangerous. They require tremendous courage to ask because new questions lead to new ways of perceiving. All new and original through begins with a question, which leads to an exploration – and an adventure. Here are some final questions and thoughts to ponder. [icon style=”star” color=”ff0000″] Activity #26 – What do you want for your future? Knowing now how to apply magnetic skills to your sales abilities, what do you want to accomplish? In your Activity Journal, list 5 objectives or intentions for your future. [icon style=”star” color=”ff0000″] Activity #27 – How will you reach your future objectives? In your Activity Journal, for each of your 5 objectives, list the magnetic skills from the first 8 modules that you will leverage to manifest your future. This is where you must move forward with a strong passionate intention. All of your success happens if you have the courage and fortitude to take planned actions to bring your vision alive and into your life. This is where you magnetize your vision into the present. With the final Magnetic Sales Assessment, you are rating your belief about your magnetic skill and your authenticity. You have accomplished much as you moved through this program! Congratulations! We understand, having a personalized strategy to keep you engaged and focused can be challenging. We have additional help for you to stay engaged and focused on your sales and marketing success. If you’re ready to learn additional skills for manifesting your dreams and desires, our Core Passion® Intentional 2016 will be the next program for you! You will learn a lot more about the art and science of manifesting. You will go deeper in the study of timelines to learn the knowledge and skills to access and use natural organic timelines to align with your personal timelines. Remember, When you know WHO you are you know WHAT to do. The future is coming and a new Adventure is about to begin. . .
[icon style=”print” color=”ff0000″]Module 7: Click here to download your PDF. [icon style=”print” color=”ff0000″]Module 8: Click here to download your PDF Introduction. [icon style=”print” color=”ff0000″]Module 9: Click here to download your PDF Introduction.